In search of the perfect flat. Living in NYC means tons of walking. It also means looking cute at all times. People here are so stylish. Even the kids! As much as I love my TOMS, they really don’t cut it when it comes to dressing up + feeling comfy in the city so I’ve been on a serious hunt for the perfect ballet flat. I’m particularly attracted to metallics at the moment and here are three pairs that are at the top of my list. I love the girly, flirty feel of the Kate Spades. 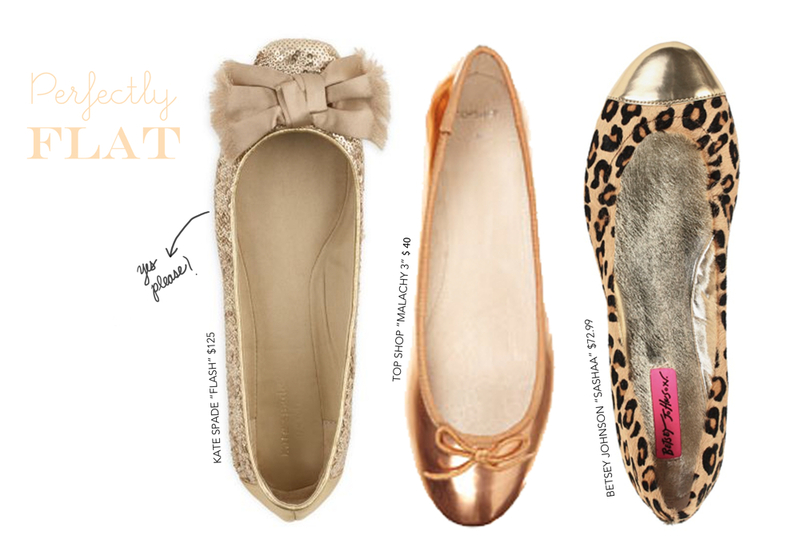 TopShop’s bronze flat is cute and versatile and the gold dipped leopard print Betsy Johnson is bold and daring.